Retired boxer Floyd Mayweather went through the ESPN carwash today, and sat down for an interview with SportsCenter anchors Cari Champion and David Lloyd. To the anchors’ credit, they asked Mayweather multiple questions about his history with domestic violence, only to be met with the same old talking points Mayweather has been using for years in these situations. Of course, there were pictures of the domestic violence Mayweather has been accused of committing, but they were either locked away or destroyed by Las Vegas authorities for reasons that remain unclear. 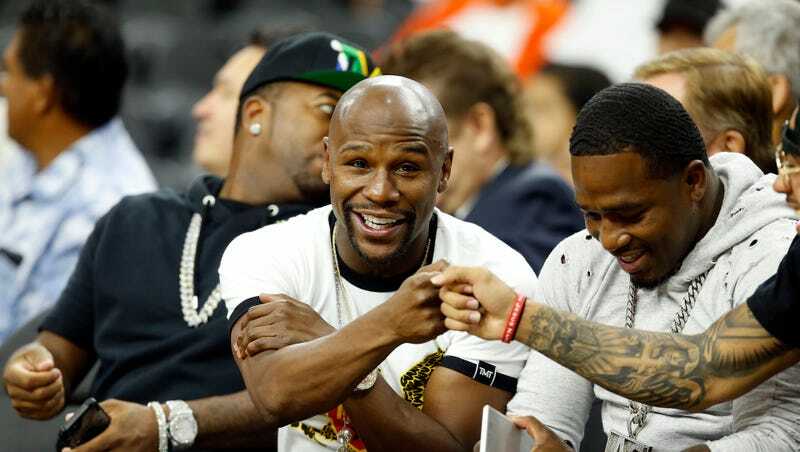 As for Mayweather’s assertion that only God can judge him, people who have read the letter his son wrote, in which he details the ways in which Mayweather beat his mother, may disagree.